I headed to Dover fully expecting to tour a floating theme park. 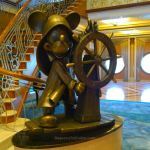 As I stepped aboard it was clear that everything I had pictured about a Disney cruise ship was completely and utterly wrong. I expected an experience akin to visiting Walt Disney World Florida or Disneyland Paris where Disney-esque fun is available 24/7. I expected over-the-top décor, and kids running amok. 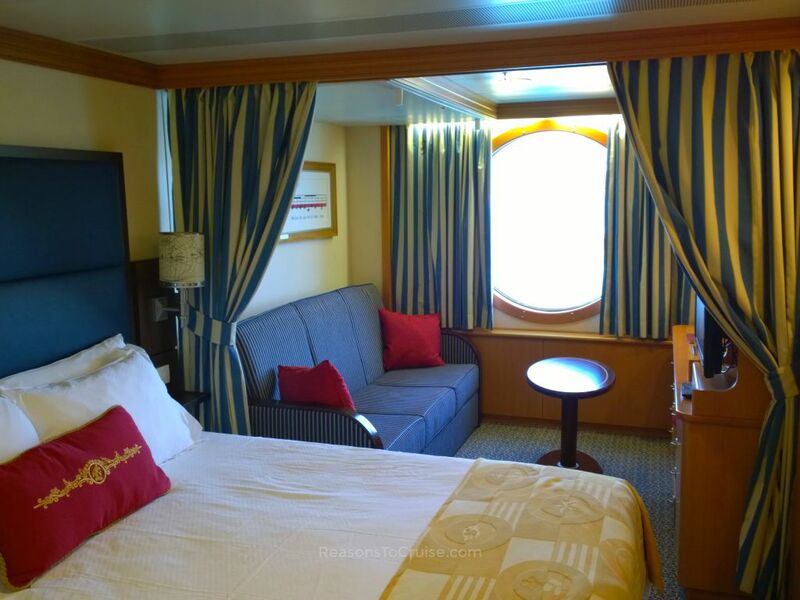 Instead, Disney Magic is a beautiful, premium-styled cruise ship, with exuberant staff, stylish décor, and a warm, welcoming feel thanks to the American-style service. Disney-themed entertainment is constrained to occasional character meetings, production shows, and discreet décor styling. 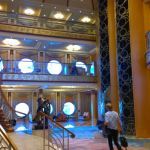 Passengers briefly become celebrities as crowds of crewmembers applaud each family that steps aboard for the first time. 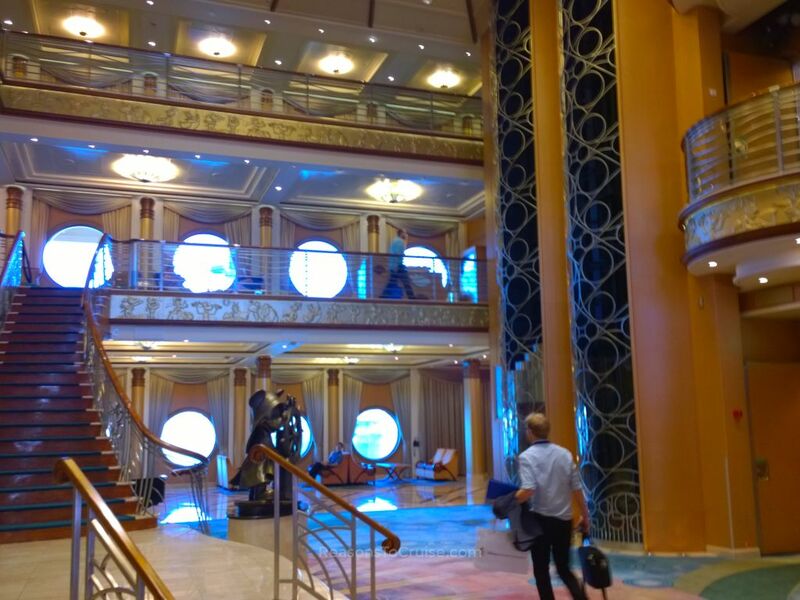 They enter the three-deck-tall atrium, a key entertainment space at the heart of the ship. 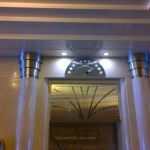 The 1920's art deco styling of the ship is reminiscent of a classic New York hotel. Think stylish, elegant, and sophisticated. Disney characters appear in the décor in very subtle ways. At first glance, you might overlook them, but look closely and you will spot familiar faces. 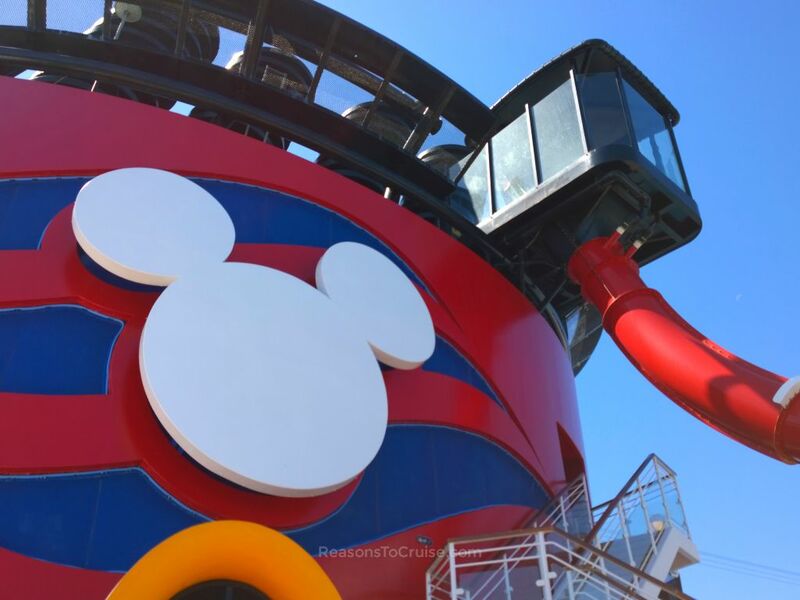 The classic Mickey emblem (the three circles resembling Mickey's head and ears) often appears around the ship, with some easier to spot than others. Look out for the small details too, such as Mickey's hand pointing to which floor the elevator is on. 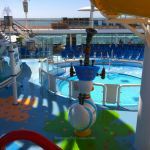 The ship boasts a variety of entertainment options for all tastes and ages. Perfect for thrill seekers, AquaDunk is a three-deck-high fast-paced twisting water slide that begins when the floor beneath you drops away. If that does not scare you, perhaps the section that extends six metres (20 feet) over the side of the ship will. Goofy's Family Pool, the main pool area, boasts a liberal quantity of sun loungers and two whirlpool spa tubs. 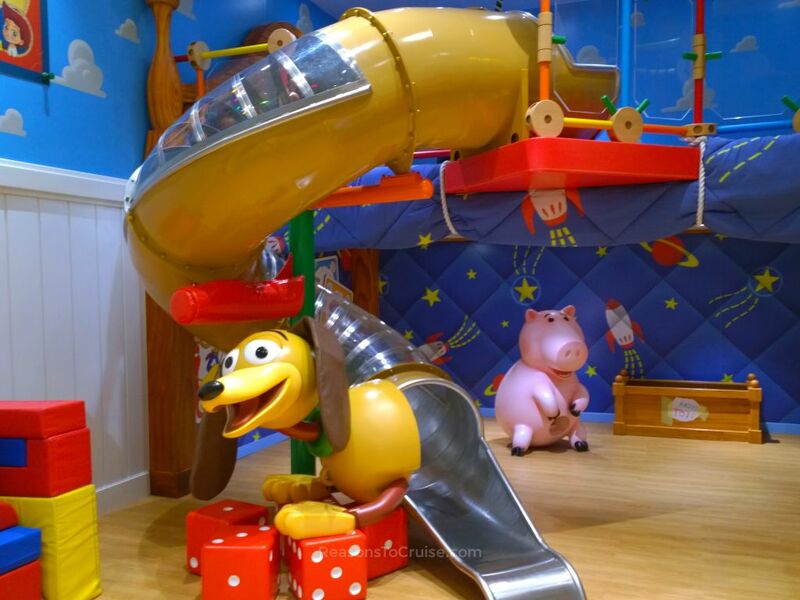 It sits between the two funnel stacks on the ship, with Pinocchio's Pizzeria at one end and the large Funnel Vision television screen at the other end. This is high above a staging area which is where the deck parties and other fun and games takes place. AquaLab, themed with Donald Duck's nephews Huey, Dewey and Louie, is a water park play area that has a freshwater pool and a range of pop jets, geysers, and bubblers. 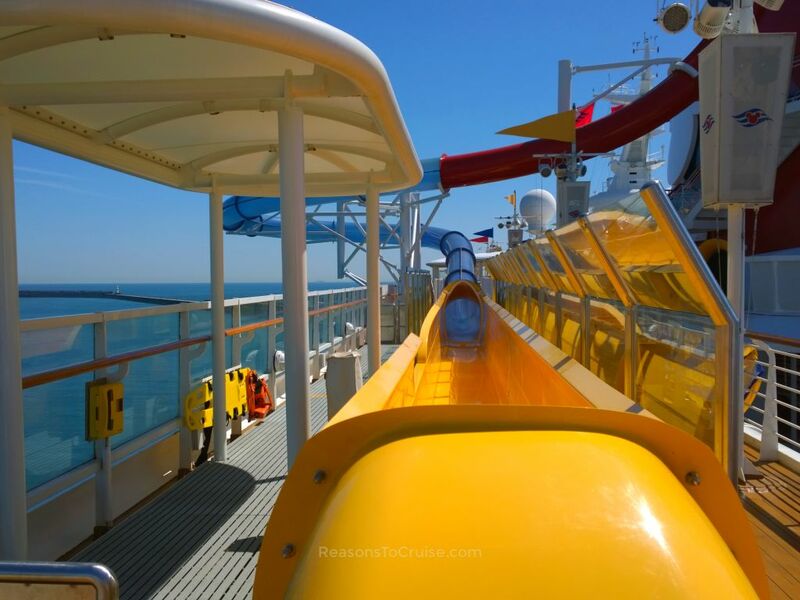 The tame Twist 'n' Spout water slide is ideal for children. Nephew's Splash Zone is a space designed for children under three years of age to splash in. The shaded area features interactive water features including fountains, bubblers, wheels, and levers. Oceaneer Lab feels like one of the biggest spaces devoted to children anywhere at sea. Their kid's clubs here cater for children aged three to 12 years of age. Oceaneer Club branches off Oceaneer Lab offering more activities for children. Children can freely hop between the different zones on nothing more than a whim. 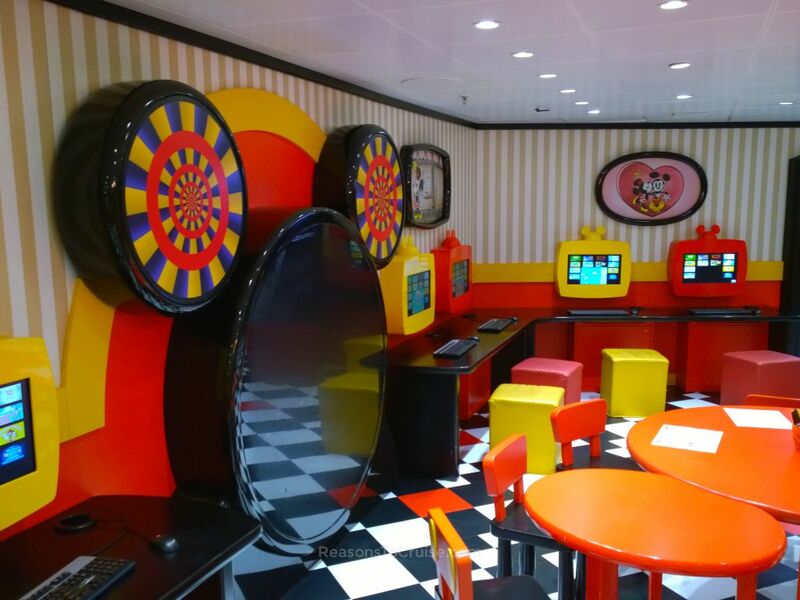 Mickey Mouse Club boasts classic black, white, red, and yellow styling. Kids can watch television, play games, and engage in arts and crafts. Marvel's Avengers Academy is a hit with superhero fans. Children can become immersed in the multi-day experience where they can interact with Marvel characters. They can even become Iron Man through a bit of Disney magic, putting a virtual suit to the test. The enchanted land of Tinker Bell sits beyond this. Pixie Hollow is a cute space perfect for fairy-based fun. At Walt Disney Treasury of Children's Classics, children can watch classic Disney programming including Disney and Pixar titles. Last is Andy's Room, a super-sized version of the bedroom from Toy Story. While the other spaces in the Oceaneer Club seem to focus on creativity, this interactive space concentrates on imagination and exercise. 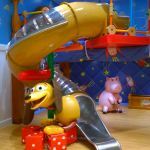 A spiral staircase leads up to Andy's bed where kids can ride the Slinky Dog themed slide. 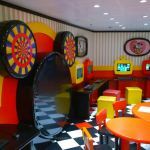 The D Lounge is a family space where parents and children can mingle, make new friends, and enjoy live entertainment including game shows, and quizzes. 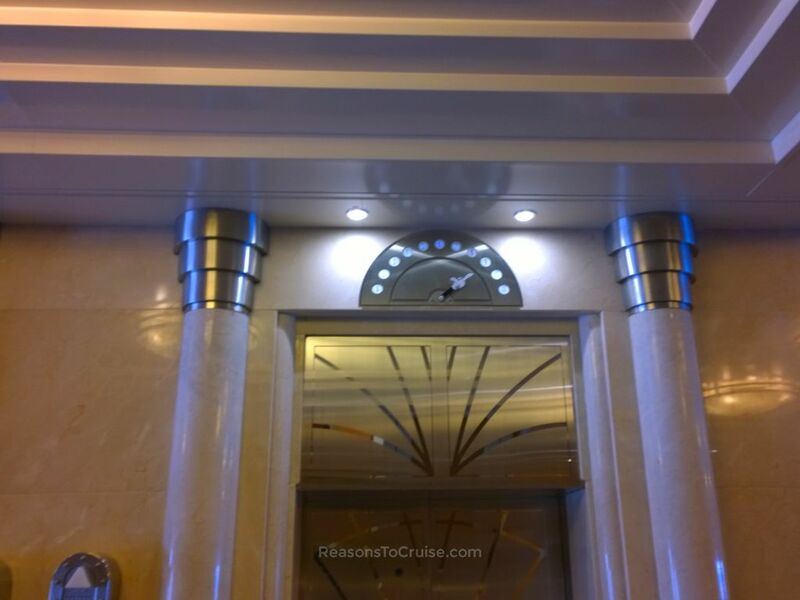 The Walt Disney Theatre is one of two show spaces onboard (the other being the Buena Vista Theatre) and oozes as much charm as the rest of the ship does. An oversized photograph of Walter Disney greets passengers as they enter the theatre. The main shops stock Disney products for the young and old, including clothing, jewellery, soft toys, toys, and collectables. The Vista Gallery specialises in artwork and prints of Disney characters. 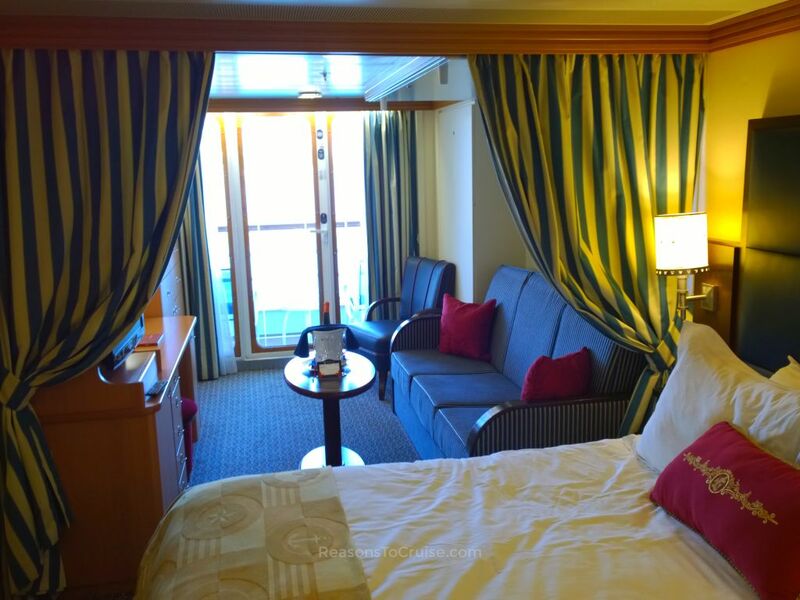 The Image Group handle the photography services on Disney Cruise Line vessels. 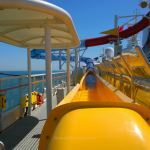 You can buy photos one-by-one or you can buy photo packages to receive digital copies of the photos taken aboard, or all the digital photos and printed versions too. 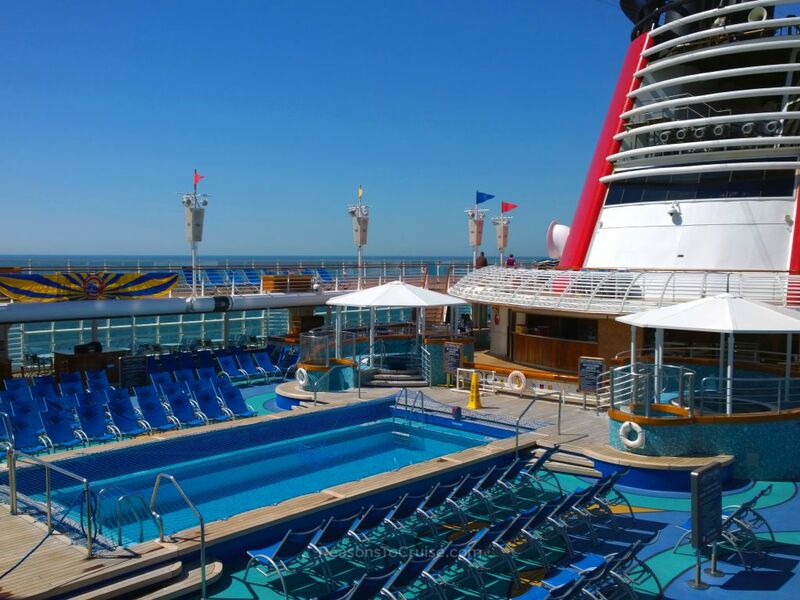 These bundles cost $300 (&thickapprox; £233) and $400 (&thickapprox; £311) respectively for a typical one-week cruise. 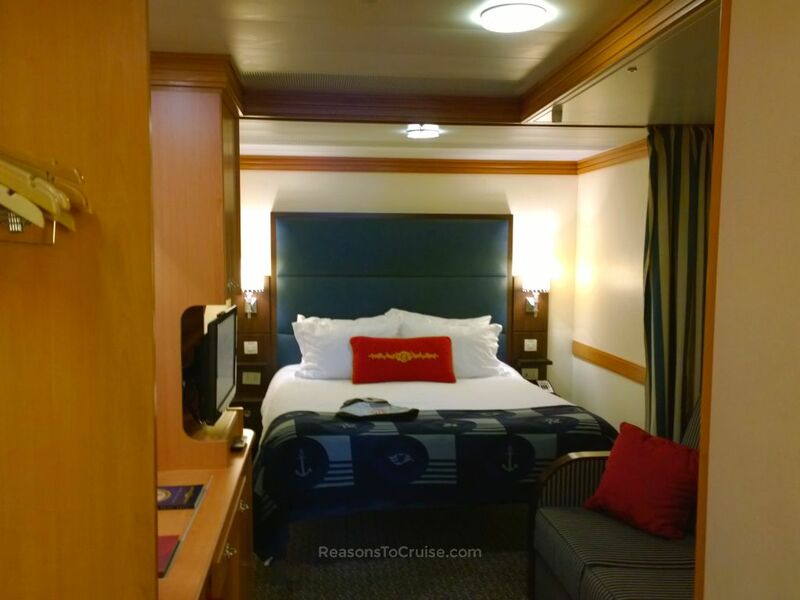 There is a choice of cabins available on the Disney Magic that broadly breaks down into Inside, Ocean View, Balcony (Verandah) and Suite grades. 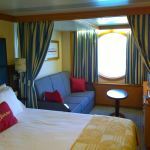 All cabins I toured shared the same décor of creams and woodwork paired with crisp white linen, dark blues, and royal reds. Bed frames in all cabins are raised to offer convenient under-bed storage. 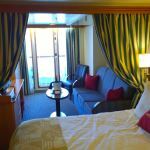 Each stateroom I toured boasted generous amounts of floorspace. Most cabins had split bathrooms (bath and sink separate to a toilet and sink) as well as dividing curtains too, separating the living space from the bed, thus creating 'rooms' within a room. I enjoyed lunch in Lumiere's, a French-style restaurant named after the adorable candlestick from the Beauty and the Beast tale. 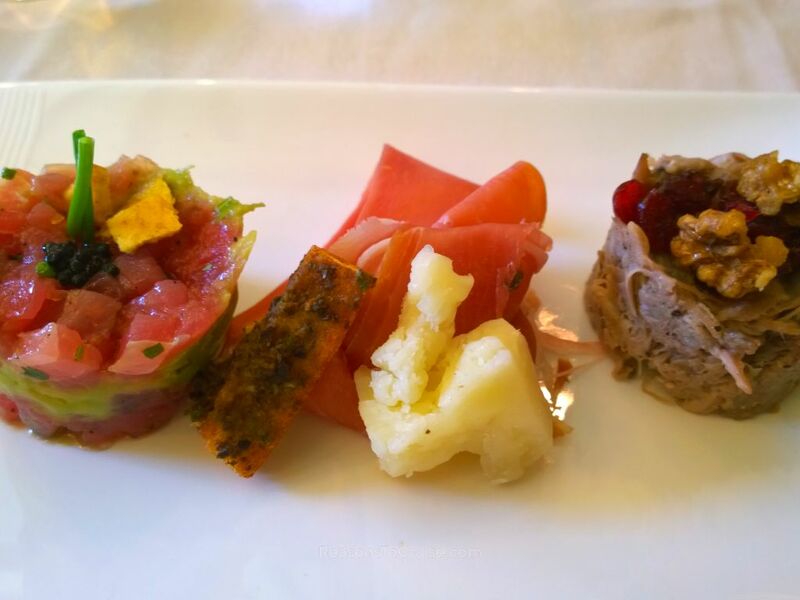 The starter was a sampler dish featuring a trio of chilled treats. First was the Ahi Tuna and Avocado Tower, which came with red pepper wasabi, chopped patacones (fried plantain slices) and topped with caviar no less. 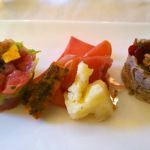 Next was Sliced Serrano Ham served with Manchego cheese and an olive tapenade. Last was the Duck Confit, pulled duck leg meat that had been slow cooked garnished with Craisins (dried cranberries) and walnuts. 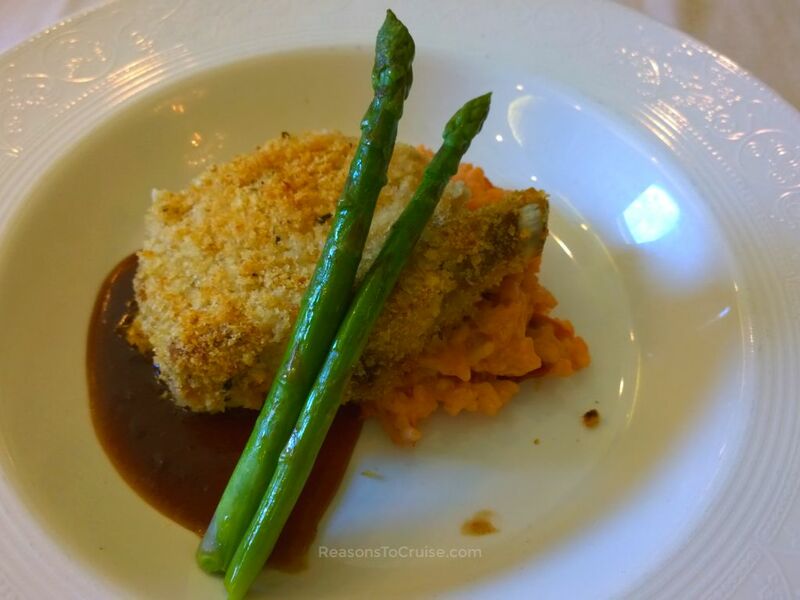 I opted for the Herb Crusted Pork Chop for my main course, which was a roast pork chop brushed with Dijon mustard and crusted with herb breadcrumbs, served with sun-dried tomato risotto, asparagus and a Barolo wine sauce. The presentation was flawless, and the portion size was incredibly generous. The flavoursome pork chop was delicious, and the bed of sun-dried tomato risotto it sat upon was equally tasty. 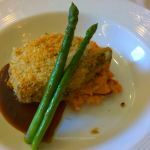 Two sticks of tender asparagus cut through the flavours of each and balanced the dish nicely, as did the sauce. 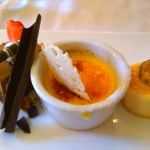 The meal ended as it has started, with a trio of dishes - this time it was the turn of the indulgent desserts. First was the De La Costa Cream Cheese Flan with caramelised banana and a Pedro Ximenez reduction. This dessert had the same similar light and delicate texture and taste as a pannacotta. 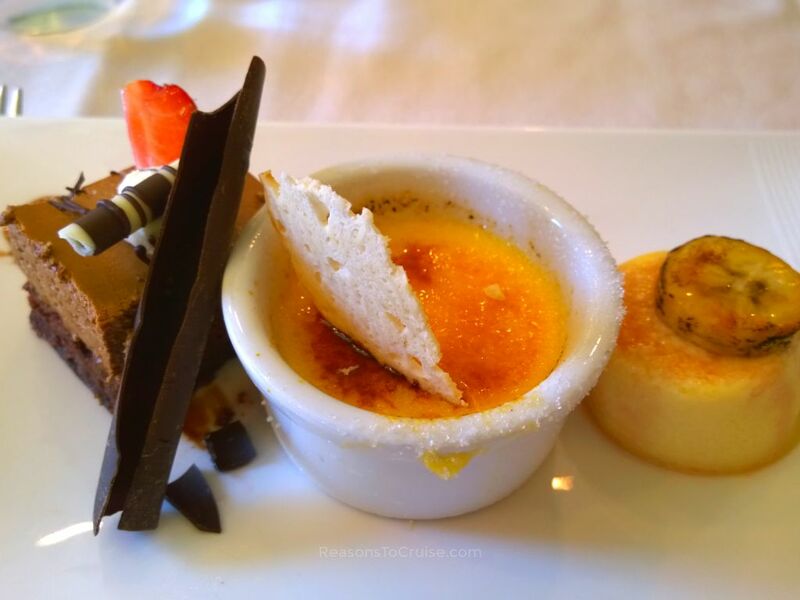 Next was the divine signature Tahitian Vanilla Crème Brûlée topped with an almond biscotti. If I could have ordered a box of almond biscotti to take home with me, I would have done! Last was the rich, dense, and deliciously satisfying Chocolate Duo Cake, a chocolate brownie topped with chocolate truffle mousse and caramel sauce. 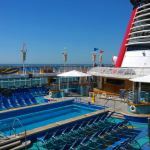 For the last few years, Disney Magic has spent the winter in the Caribbean and the summer in Europe, sailing on itineraries to Norway, the Baltic, and the Mediterranean. 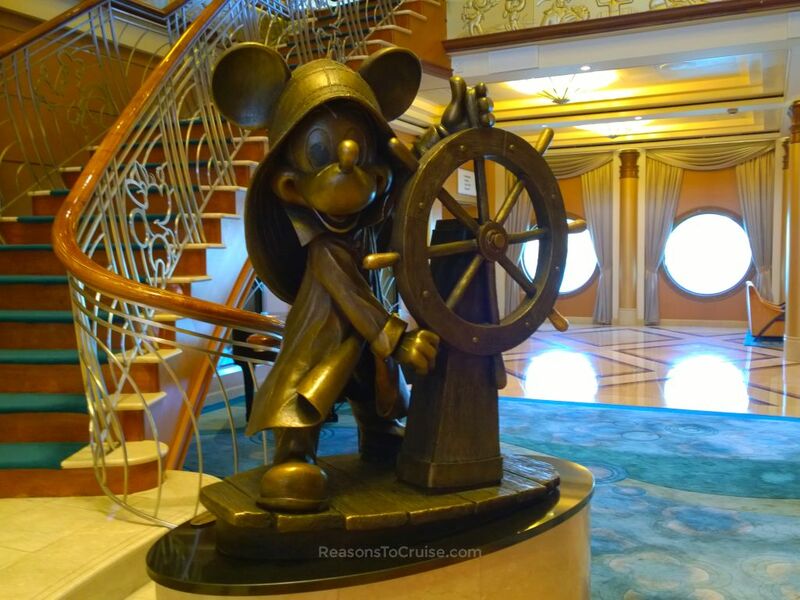 Have you sailed on Disney Magic? 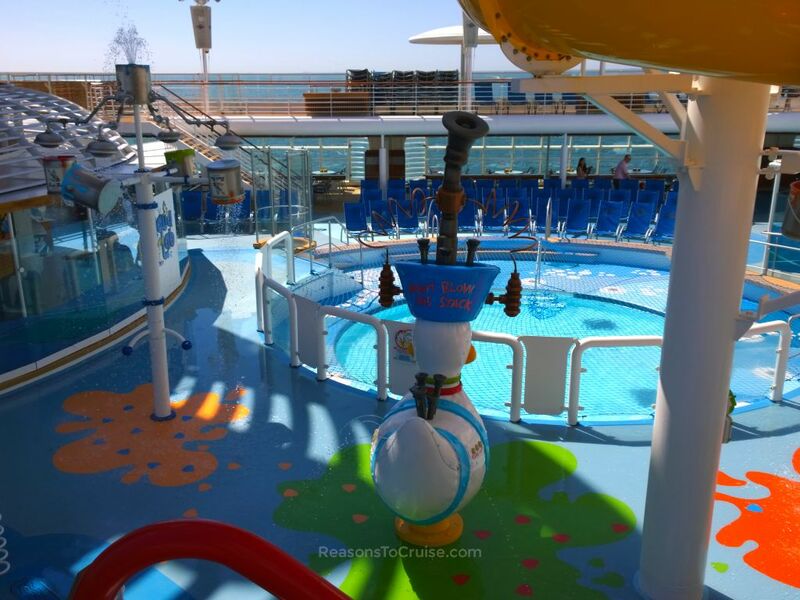 If so, what was your favourite area onboard? Let me know in the comments below. 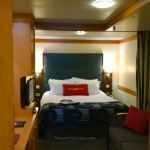 Disclosure: Disney Cruise Line supplied transport between London and Dover, and hosted me aboard Disney Magic for an afternoon. I paid for my transport to and from London, plus overnight accommodation. All opinions are my own. 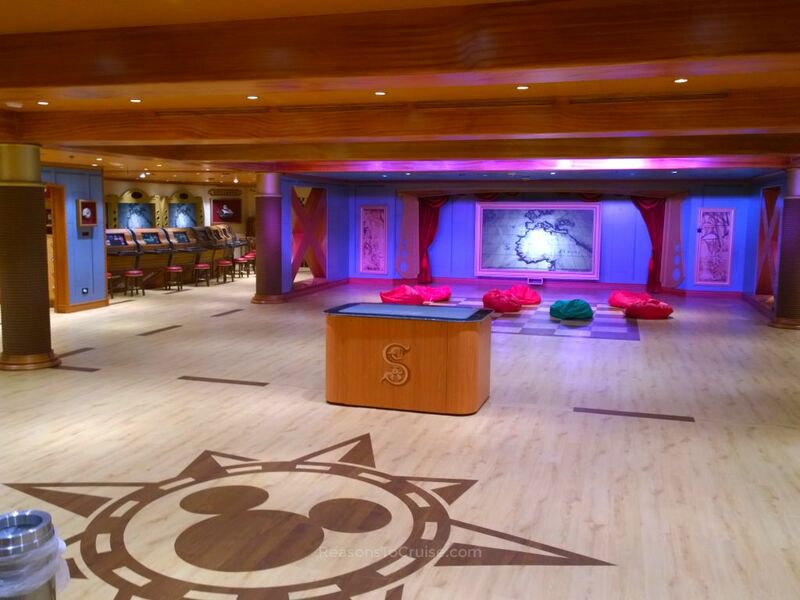 For a memorable holiday on a stylish cruise ship, look no further than Disney Magic. Disney entertainment sits atop of the experience like a cherry on an exceedingly good cake. 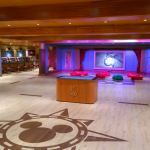 Solo travellers, couples, and families are all welcome aboard, with a fondness for the Mouse the only prerequisite.